A woman in Ota, Ogun State, Mrs Omolara Balogun, has accused her landlord, Tunde Olaoluwa, of trying to sleep with her and her daughter. She said she gave the landlord N26,000 being the accumulated rent for nine months for a room at N2,500 a month, saying he refused to collect the money and instead asked her to vacate the accommodation. According to her, she had cause to believe that Olaoluwa was ejecting her because she and her daughter refused the landlord’s s*xual advances, and not because she was owing him house rent. Mrs Balogun levelled the allegation during the hearing of a case on house rent at a Customary Court in the town. She added that she experienced burglary incidents frequently in the house for which she complained and the landlord did nothing, pointing out that it was for this reason that she refused to pay her rent at a point. On his part, Mr Olaoluwa dismissed the claims, describing the defendant in the case as a trouble maker always causing chaos in the house at the slightest opportunity. 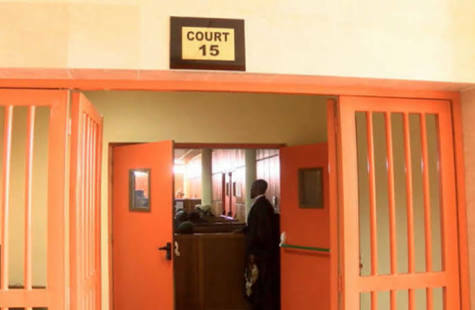 In his verdict, the Court President ordered Mrs Balogun to vacate Olaoluwa’s premises within 10 days as it had become obvious that they could no longer live together as landlord and tenant.